Experiences of being an international student at university can vary greatly. Despite having been at school in the UK since the age of 13, I still felt the specific pressures of being an international student at university, especially in regards to careers. My career aspirations became a high priority from the beginning. Due to my student visa only allowing me to stay in the UK for the duration of my degree, I felt that I needed to have a post-graduation plan as soon as possible. I spent much of my first year getting to know what advice was offered by attending a variety of workshops put on by the Careers Service, numerous employer presentations, participating in university societies and volunteering. 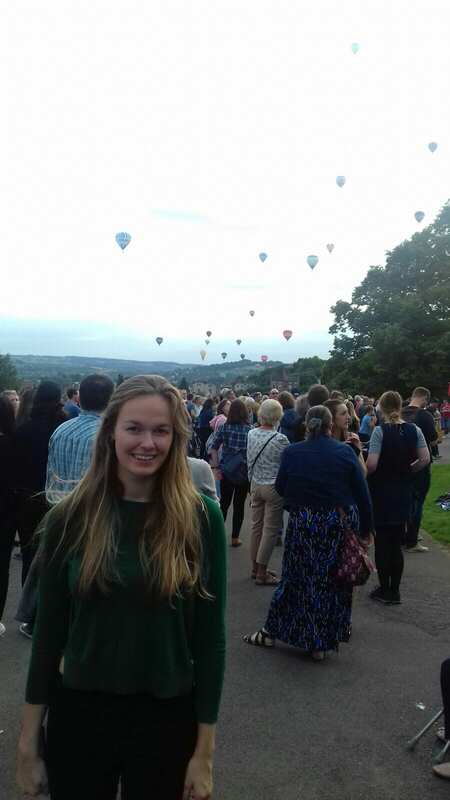 When I decided to complete the Bristol PLUS Award in second year, I found I had no trouble doing so having kick-started my career planning early on. Having spent most of my evenings in the first term of my first year networking, I was ready to begin filling in applications. I applied to ten first-year opportunities ranging from insight days to week-long schemes. After various stages of assessments, I was accepted onto five – one of them being a 4 day scheme with Clifford Chance, which in that year was offering training contracts (graduate jobs) to first year students for the first time. After an amazing time on the scheme we had an opportunity to submit another application for the training contract. My application was successful, and after an assessment day I was offered a training contract which I gladly accepted. I never dreamed of securing a graduate opportunity after my first year of university – the work experience I was applying for was just part of my long-term plan of getting to know the legal industry, but it was a huge relief. I am fortunate that studying Law and wanting to work in this sector means there are many big international companies able to sponsor visas if required. I realised how much more difficult it would have been had I wanted to apply to a smaller company or a more niche area after attending “Working Options for International Students Post-Graduation” with immigration lawyer Natasha Gya Williams. This event was a part of a week of events tailored for international students run by the Careers Service. Other events provided a better understanding of the UK job market, the unavoidable and confusing visa system, and how to sell your skills. Not only are international students likely to be multilingual, but the very experience of attending a university in a different country is a testament to one’s adaptability and emotional intelligence. Being able to settle into a different culture is a skill which can show an employer that you would not have trouble mixing in with the colleagues or finding the right approach with the clients. It is undoubtedly harder for an international student to stay focused on their career choices when they have had to make many other adjustments in starting university. Visa restrictions mean we are more limited in how much time we have to make career decisions, as you need to discover which employers have viable options should you want to stay in the UK. Using the Careers Service and devoting a lot of time to your career-planning from the beginning will pay off in the long run. It will give you more time to plan, practice writing applications, complete reasoning tests or attend interviews, but also more time to come across the right opportunity for you.